Spring break is the perfect time to do something fun with family and friends, and guess what? The perfect Spring Break activity is right in your own back yard at Maryhill! With our seasonal re-opening, we are unveiling a new DISCOVER room and activities. This special place allows you to become a curator, an artist, an explorer, and fashion expert, all while having a great time at the museum. Start your visit to Maryhill in the DISCOVER room, where you can plan the day by looking at examples from the collection and their location within the museum. Pick up a map and a carrier containing DISCOVER activities and head out to explore the collections that most interest you. 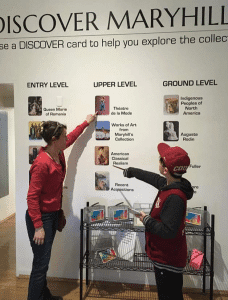 The DISCOVER activity cards will guide your group through active looking and understanding, and are designed so that adults or children can “take the lead.” In the DISCOVER room you will also find activities to help explore the galleries in new ways. Think like a curator and use magnetic images from our collection to identify a theme and create an exhibition of your own. Or, think about how artists create and why their creations make it to the museum’s wall! After viewing the exhibition Still Life in the adjacent Maryhill Favorites Gallery, design and draw a still life of your own. Then connect your narrative to those of the artists on view. Use the DISCOVER room three-word prompt—pose, props, expression—to reveal the stories told by 3-D works at Maryhill. Look on the Entry Level, the Ground Level, the Lower Level (chess sets), and even outside to find some of the wonderful sculptures in Maryhill’s collection. 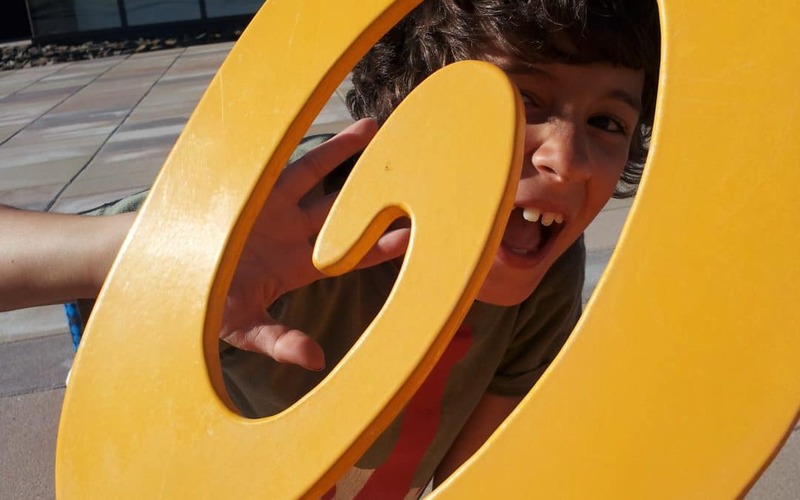 Maryhill Museum of Art is a wonderful place for exploration, inside and out. You can learn more about some early explorers to our area in the The Lewis and Clark Overlook and its native plant garden, which sits where the museum’s lush gardens give way to sagebrush ranchlands — a great place to soak up panoramic views of the Columbia River Gorge, surrounding plateaus, and majestic Mt. Hood. By now you’ll have worked up an appetite, so bring your lunch, or treat yourself in our Café, but don’t miss this amazing Spring Break adventure! 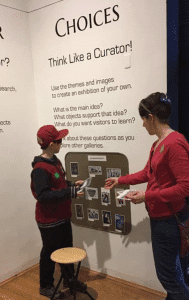 DISCOVER is a free activity made possible by Judith A. Lackstrom and Robert E. Morrow.